Without a doubt, pie is the way to my heart. Apple, cherry, chess, chocolate…I love them all. 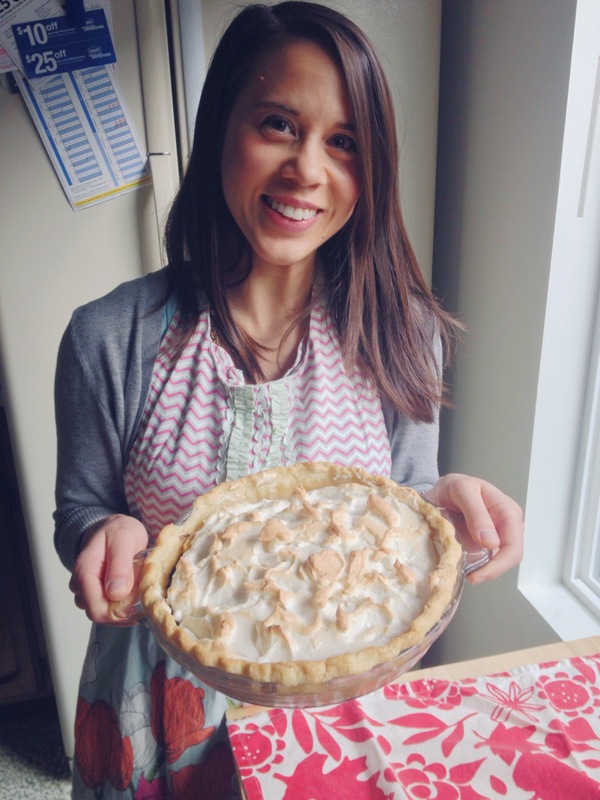 Pie is also an excellent way to wiggle your way into the hearts of others. Who doesn’t want a yummy and indulgent surprise, especially this Valentine’s Day weekend? 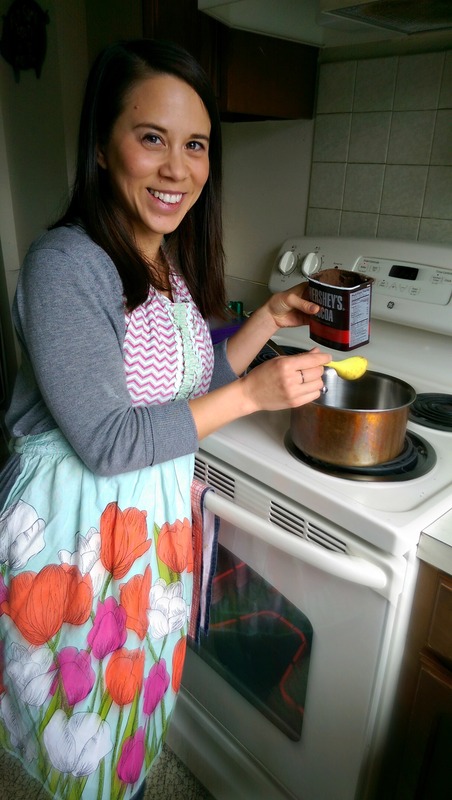 Last weekend Mil and I got together to make my friend Lindalu’s infamous chocolate pie. Lindalu is one of my Arkansas friends, and is known in our town for this signature recipe. 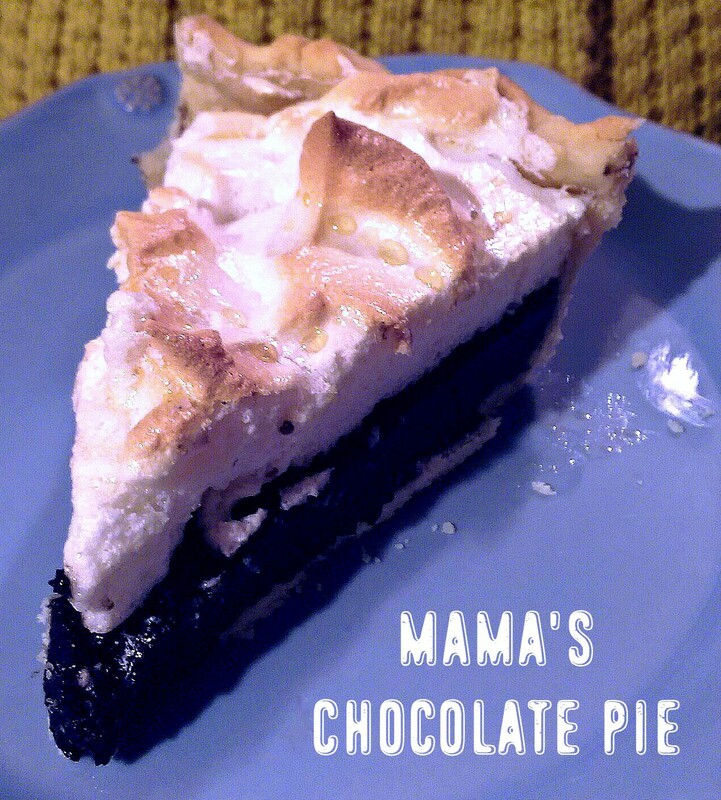 Passed down from her mama, this pie is rich and creamy. I dare you to stop at just one slice! 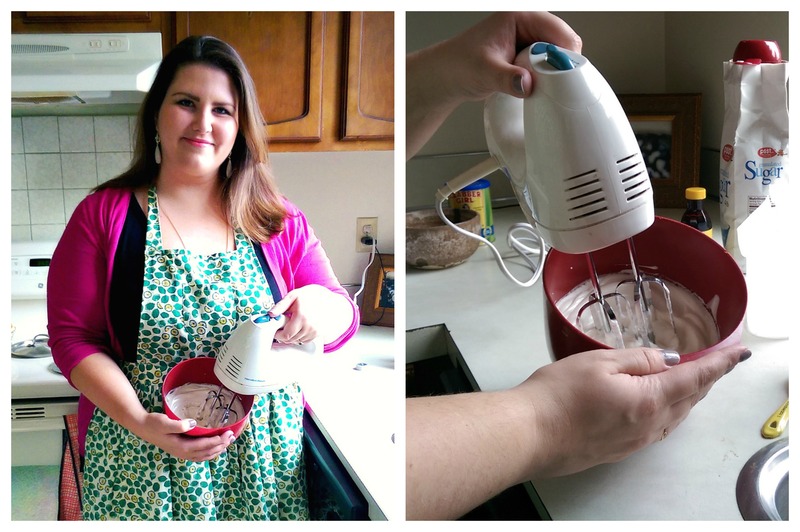 The best part is that it’s super easy to make and dirties a minimum number of dishes. Less time in the kitchen = more time snuggling on the couch. Start by gathering your ingredients, aka the goods. There are only seven ingredients (plus the pie crust), all of which are probably already in your cupboard. Maybe with the exception of the evaporated milk. 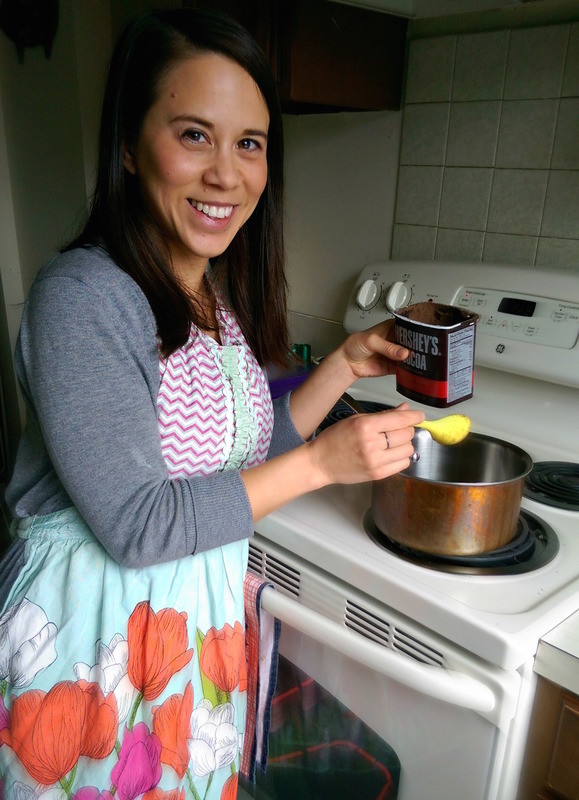 Does anyone use evaporated milk anymore? Combine 4 tablespoons of cocoa, 1 cup sugar, and 2 level tablespoons flour or cornstarch. Mix altogether, then add 1 cup evaporated milk, 1 cup water, 3 egg yolks, and a half stick of softened butter. Cook all together until thick. Stir frequently to ensure it doesn’t burn on the bottom. Then, cool. The best part about cooking with friends is being able to tag team the work. While the filling is cooking and cooling, whip up your meringue. Simply add 1/4 cup sugar and 1 teaspoon vanilla to your 3 leftover egg whites. Whip in a mixing bowl until stiff peaks form. Note: if you’re flying solo in the kitchen, I would recommend waiting until the filling is cooling to start your meringue. You don’t want to risk burning your chocolate. 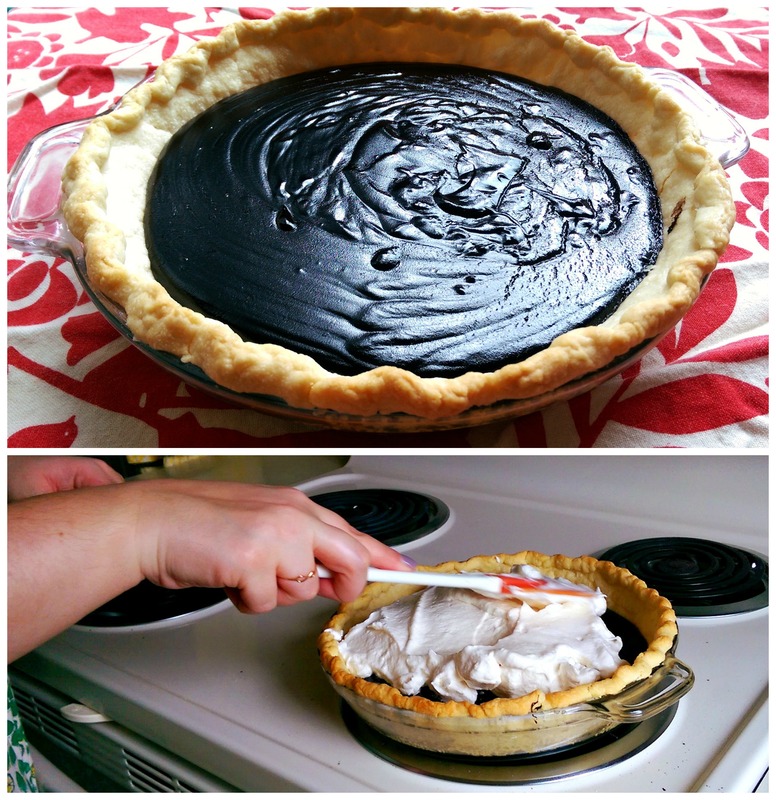 Once the chocolate filling has cooled, pour it into your pre-baked pie crust. Then, spread all that luscious meringue over the top. 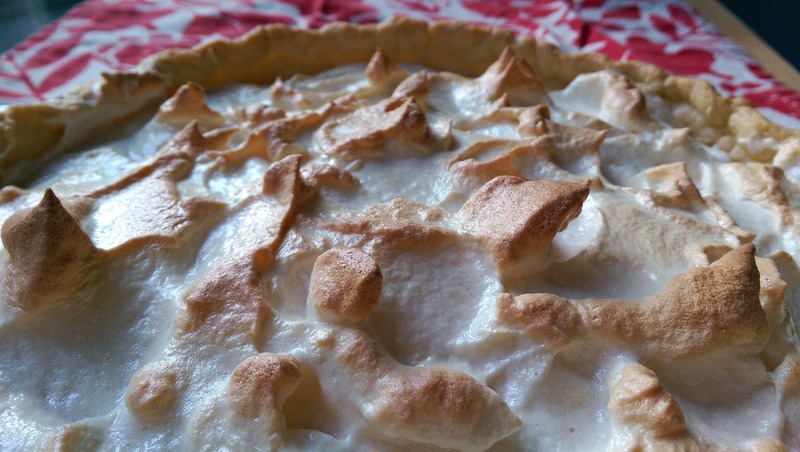 The meringue should go to the very edges, but shouldn’t be completely smooth – there should be some peaks. Bake at 350 degrees until brown. The final product. Meringue and chocolate goodness. Close-up shot of our meringue peaks. 1. Combine the first three filling ingredients in a saucepan. 2. Add the remaining four ingredients and mix. 3. Cook all together until thick. 4. Cool. Once cool, pour into your pre-baked deep dish pie crust. meringue ingredients and whip until stiff peaks form. the edges of the crust. Leave some peaks so it browns prettily. 7. Bake at 350 degrees until the meringue has browned. 8. Let it cool in the fridge to firm up before serving. Friends who bake together, stay together. What is your favorite pie to make? Are you all about the fruit? The chocolate?